Los verbos compuestos, ¿qué es todo este alboroto? ¿Por qué piensan los estudiantes que para aprender inglés es necesario saberr una larga lista de verbos compuestos, o comprar los libros que explican hasta el último de ellos? ¿Los angloparlantes utilizan frases verbales todo el tiempo? Porque para cada verbo compuesto que existe, hay otro verbo que significa exactamente lo mismo y se usan para expresar la misma idea. Y esos verbos tienden a tener sus raíces en el origen latino de la palabra que hace que sea más fácil para los estudiantes españoles, franceses e italianos que tienen un verbo similar en su propio idioma. To bring up means to mention (mencionar) or introduce a subject for discussion. Debido a la similitud entre muchas palabras del español y del inglés, siempre se puede encontrar otro verbo en uso, lo cual es más similar a uno en su propia lengua. Hablando académicamente, no es necesario utilizar verbos compuestos “phrasal verbs” en absoluto. Para dar conferencias en ingles, se puede hablar en detalle sobre cuestiones complejas sin tener que utilizarlos, no hay necesidad de usar ni un verbo compuesto. Un consejo es aprender los verbos compuestos en contexto cuando se presenten en un contexto específico. No se trata de aprender listas y listas de verbos compuestos en inglés, se trata de aprender a medida que avanza, y siempre en contexto real y cotidiano. En este artículo, se utilizó sólo un “phrasal verb” ! ¿Cual? Mira el texto original en >Ingles abajo, para comprobar el uso de solo un verbo compuesto. Mira al principio del paragraph final. Phrasal verbs, what’s all the fuss about? Why do people think it’s necessary to learn long lists of phrasal verbs, or buy books explaining every last one of them? 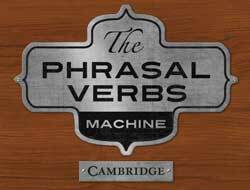 Do native English speakers use phrasal verbs all the time? In fact, they don’t use them half as often as English Language Learners think they do. Because for every phrasal verb that exists there’s another verb which means exactly the same and we use those to express the same idea. And these verbs tend to have their root in the Latin origin of the word which makes it easier for Spanish, French and Italian Learners who have a similar verb in their own language. Due to the similarity between many Spanish and English words the language learner can always find another verb to use which, more often than not, is similar to one in their own language. When speaking academically, you don’t need to use phrasal verbs at all, visiting academics, giving conferences in English, can talk in great detail about complex issues without ever using or needing to use a phrasal verb. Good advice is to learn them in context when they come up, (appear, aparecer) in speaking, reading or listening exercises. Learn them as you go, and always ask what phrasal verbs mean if you hear them used in conversation. But don’t try and learn lists and lists of phrasal verbs, it could take forever, and perhaps you will never get the opportunity to use them all. In this article, only one phrasal was used! 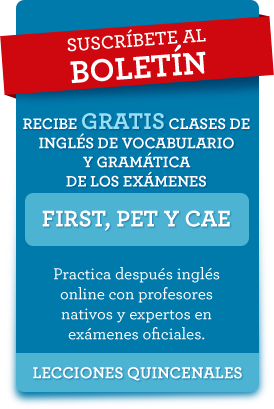 Esta entrada fue publicada en Clases de inglés online el 17 junio, 2013 por admin.